When winter arrives in Minnesota that means several things: no more green grass, blistering cold temperatures, and the sun seems to mysteriously disappear. When the sun does appear it is difficult to enjoy its warmth like you used to in the summer months, but that’s when a seasonal room comes into play! 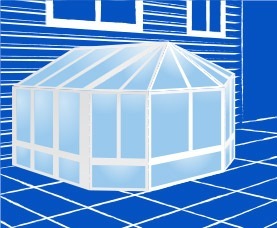 When it comes to sunrooms, you have the choice of either a three-season or a four-season sunroom. The biggest difference is quite obvious: the three-season sunroom will be out of commission in the winter months because the insulation is much thinner. 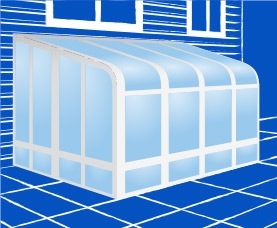 One benefit of having a three-season sunroom, however, is it means cheaper installation and no additional heating/cooling. Meanwhile, building a four-season sunroom allows you to enjoy its beauty year-round either with the help of a heater in the winter months or with the assistance of Mother Nature! Having two separate roof panels gives you a cathedral type of ceiling. You have the option of glass, screen or wall. The slope faces away from the home allowing all types of precipitation to run off the roof. The single slope gives a different feel to the room. You have the option of glass, screens, or walls. 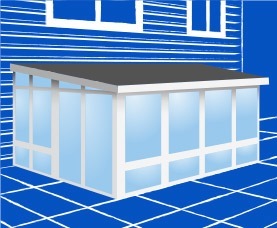 Consists of a lean frame, glass walls, and a glazed glass or polycarbonate roof. Originally designed for cultivating warm-weather plants. Gives a more traditional feel. 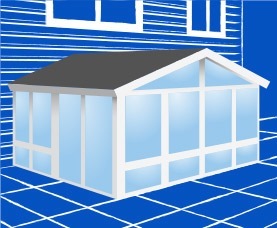 Like a conservatory, solariums consist of glass walls and a glazed glass or polycarbonate roof. The walls and roof are joined with a continuous curve. No matter what style of room your family is looking for, you will be creating a room that is unlike all others. The addition of a sunroom will create unforgettable memories. Whether it’s watching a summer sunset away from the humidity and bugs, or watching the snow fall lightly during the holiday season, watching every season pass in front of you with someone special by your side is something you will never forget.